Try living a day without hot water! Tim Frawley Plumbing has extensive experience installing and repairing hot water units. We can provide same day replacement if the job is booked before 9am. If your hot water fails suddenly call us on 0404 479 088 and we’ll replace the faulty unit with the best option available. With rising energy costs and an increased awareness of global warming replacing your hot water unit can be an effective way to reduce cost. In Sydney 40% of a home’s carbon footprint comes from hot water, and in the past 5 years electricity prices have risen by 70%. While there is an initial cost of replacing a hot water unit, if you make the right choices your longer term costs of running the hot water system can be greatly reduced. Electric hot water storage is still very common despite the cost to run. In a Sydney home about 35% of the power bill is used to heat up the water. Where possible it is best to replace these energy consuming appliances, although if space is tight a small 50 litre electric hot water unit remains the best option for offices, shops and many apartments. Rheem, Dux and Aqua max make good electric storage units. Instantaneous hot water systems are mainly used in older apartments under the kitchen sink. They give a reasonable supply of hot water, but as they are electric they are costly to run. As the water is heated up on demand the water flow is quite slow, needing a 3 phase power supply. “Stiebel Eltron” makes good under-sink instantaneous electric hot water units. Most external gas storage hot water units achieve a very high 5 star energy rating. These are fairly large units and are usually placed outside so their exhaust flue gases can help to get the maximum efficiency. The temperature of the water recovers quickly and it is very rare to run out of hot water. If there is space on the side of the house the Rheem Stellar or Dux Prodigy are excellent hot water options. 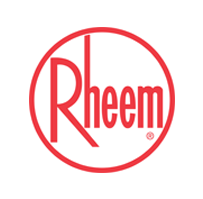 Rheem have recently released a stainless steel model in the Stella range. This has a 10 year warranty though it should last much longer due to the non corrosive nature of it’s construction. 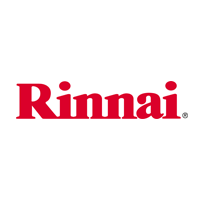 Continuous flow hot water systems are the small wall mounted units that Rinnai first brought to Australia almost 20 years ago. They are very efficient – no energy is wasted heating the water up and maintaining a constant temperature like in a storage unit. 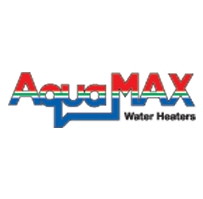 Gas continuous flow hot water units heat water as required, so they never run out. They are sometimes referred to as instantaneous units. These units are usually mounted on an external wall. They require a large gas supply line and an external power point, which can add to the cost of the installation. Rinnai is the standard for these continuous flow units, though Rheem and Bosch also make great units. Solar hot water systems are storage systems with solar panels on the roof. If we can mount the panel due north to maximise the heat gain from the sun we can provide up to 90 percent of your hot water for free using the sun’s energy. For cloudy days or when demand exceeds supply, most solar water heaters come with a gas or electric booster. 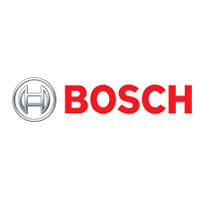 This produces less greenhouse gas emissions than other heating solutions. The installation cost of a solar hot water unit is greater than other alternatives, but it is the only appliance in the house that will pay for itself, usually within 6 years. As solar is so energy efficient and helps reduce Australia’s carbon pollution there are still generous government rebates available. Rheem, Dux, Aquamax, Rinnai, Bosch, and Apricus are trusted solar manufacturers. Heat pumps are a relatively new technology which is becoming very popular. They work by taking heat from the ambient air outside a unit to warm the water inside the unit. For every unit of electricity they use they gain three units of equivalent heat gain. Heat pumps attract STC’s and government rebates. Heat pumps are one of the most efficient hot water systems and a much more environmentally friendly alternative to straight gas and electric storage systems. Heat pumps are usually located at ground level and are approximately the same size as conventional hot water tanks. Like solar, some heat pumps use an electric booster to supply adequate hot water during periods of very cold weather. The award winning Dux Airoheat is a one piece and quiet unit when running. Use low flow showerheads or install flow restricting valves to existing showerheads, reducing the total volume of water used. Every 5 star hotel room has these showers fitted. There are good water-efficient shower heads and not so good ones. A good one will greatly reduce your house running costs. • Replace anodes on the storage type cylinders to extend their life.